Try this unique technique for a quick table runner with no quilting, no hand sewing, and no binding. 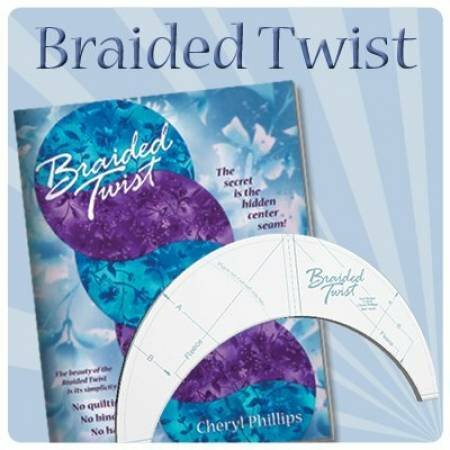 The beauty of the Braided Twist is its simplicity! The Braided Twist tool includes a 32 page booklet and three insert pages. The main project runner size is 13-1/2in x 33-1/2in. Longer and shorter variations are included. The Bonus Blossom project is 30in in diameter. Requirements: Supply list will be available after class fee is paid.